Honeywell updated its CodeWrights GmbH HART Device Type Manager (DTM) library used in its HART DTM, according to a report on ICS-CERT. The update comes after independent researcher Alexander Bolshev identified an improper input vulnerability in the CodeWrights HART Device Type Manager (DTM) library. CodeWrights fixed the vulnerability with a new library, which Honeywell validated and released for its products suffering from the issue. •	Honeywell ST STT25S HART 6 Transmitter Rev. 1. The vulnerability causes the HART DTM component to hang and cease operations until restarted. This causes a loss of Frame Application communication to all HART devices connected to this DTM. No loss of information or loss of control or view by the control system results from an attacker successfully exploiting this vulnerability. The HART devices impacted by this vulnerability see action globally by Honeywell Process Solutions for automation and control of industrial and manufacturing processes. These devices see use in several sectors including chemical, critical manufacturing and energy. This vulnerability could end up exploited by connecting a HART modem or similar device to the 4 mA to 20 mA current loop link and sending a malformed HART command response causing the DTM software to hang. This exploit is possible from any adjacent network between the FDT/DTM frame application and the HART transmitter on the 4-mA to 20-mA current loop. No known public exploits specifically target this vulnerability. Crafting a working exploit for this vulnerability would be difficult. Compromised access at any point between the HART transmitter and Frame Application with DTM will allow a malicious user to unencapsulate, modify, re-encapsulate, and send malicious packets. This exploit requires timing the spoofed response to crash the FDT/DTM components. This increases the difficulty of a successful exploit. 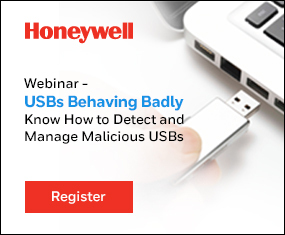 Honeywell validated and released an update of the DTM software to mitigate this vulnerability. Users should upgrade their systems using the applicable patch as soon as possible to minimize the risk of exploitation of this vulnerability.